Autophagy is a catabolic pathway responsible for the maintenance of the tissue and organism homeostasis. Several amino acids regulate autophagic activity in different tissues, such as liver and muscle, but much less is known about this regulation in the brain. The lack of autophagy in neurons leads to a strong neurodegenerative phenotype and epileptic disorders. 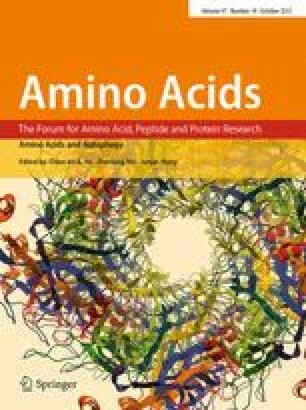 We summarize the current knowledge about the regulation of autophagy mediated by amino acids and how macroautophagy could serve as source of amino acids. We review the contribution of macroautophagy in the brain physiology and pathology emphasizing the relevancy of the proper control of amino acid levels such as glutamate and GABA in the brain due to its role as neurotransmitters and energy source. Furthermore, we discuss how malfunction in autophagy may result in pathological consequences, because many genetic epileptic disorders are related to signaling or metabolic pathways controlling both macroautophagy and amino acid metabolism in the brain. We thank Dr. Ana Maria Cuervo PhD for her invaluable help and support. JARN is supported by Charles H. Revson Senior Fellows in Biomedical Science Program, the Miguel Servet Program of the National Institute of Health Carlos III of Spain and the MINECO Grant SAF2013-45570.